Poznan is a city in Poland, situated on the Warta River. 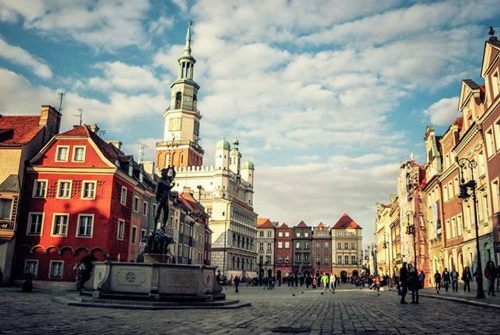 Today Poznan is one of the significant trading, industrial & educational centers in Poland. Mechanical engineering, food, rubber, perfume, glass & light industries are developed here. Poznan has an international airport, a university, a medical academy, theaters & opera. Annual international fairs are held. City's sights - National & Archaeological Museums. Many hand-made goods & antique toys are sold in the Old Market Square. Not far from it is a small mall Kupiec Poznański, where tourists can find more than 50 shops & currency exchange points. Also, shopping centers Stary Browar, "Gallery Malta" & "Poznan Plaza" are worth to visit. If you did not book a hotel beforehand, & when you arrived during the International Poznan Fair days or some different festival, you may experience some troubles with hotel booking. In this case, the decision can be hostels (ideal accommodation for travelers traveling by group). Every day somebody is visiting different cities from all over the world. Searching for an affordable offer, obviously apply for 8Rental’s offer. 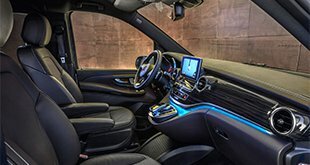 Young & fast developing passenger’s transportation supplier proposes an excellent opportunity to hire vehicle with driver in Europe cities. Apply for providing & enjoy every ride from 8Rental’s chauffeurs. A single rate is containing: fuel/petrol, VATs, toll roads & highways. Hire minivan with a driver in Poznan & make your trip organized, comfortable & pleasant. 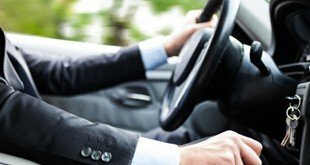 Chauffeurs will wait for passengers at requested address & drive to chosen direction as we are available to serve our customers 24/7. We care for all their needs that is why we approach every request individually and are here to offer you any necessary support. All passengers will feel comfort & relax if apply for hire a minibus with driver offers. People, who have significant business meetings, should hire a business class minibus with a driver. Luxury details installed in hired minibus will let you resolve business plans during the ride. Excellent service, excellent inside interior & fluent English, Russian, Dutch or French speaking chauffeur are proposed to 8Rental’s clients. Workers hired in the 8Rental company are tested & verified every year. Chauffeurs & drivers pass many examine & first of all are confirmed on the driver license. Documents & cards must have every worker. Regulation & rules should follow every driver & simple coworker.